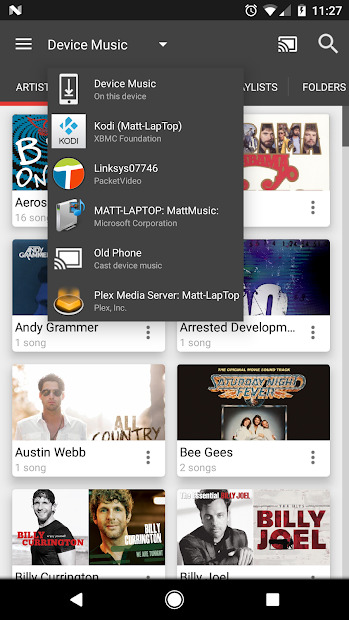 DSCast is the tool you were missing to enjoy your music along with your Chromecast. This music player has cool features, like a powerful Equalizer with bass boost, virtualizer, loudness, and reverberation effects, Gapless playback or a nice and Intuitive interface, among others. But what makes it really cool its that you can stream and share your music files with any other DLNA/UPnP compliant media renderers, or stream from your NAS. What does that mean? If you have an old computer that you use as a media storage, this app gets the data from that ‘server’ in your old computer and stream it to Chromecast, for example. Even more, if you have an old/extra phone or a tablet, you can connect it to your sound system and use that phone as a ‘receiver’. Now, you and your friends can send the music you want to listen to that ‘new phone reciever’ and create a playlist together. You can still control the music that flows from your own phone. “Device Share” is a great solution for those that regularly dock their phone to a stereo system. By sharing a device, it will become ‘visible’ to others connected to your WiFi network so the music can be controlled from a separate Android phone or tablet. It also WiFi-enable your stereo system without having to buy new equipment. This feature enables the Play Queue management; to view the play queue, drag the currently playing song up and the play queue will be revealed. 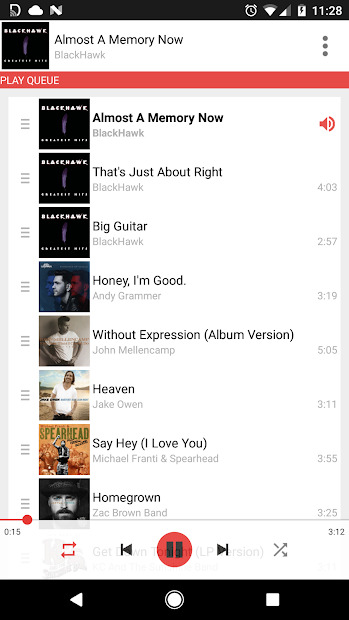 Drag and drop to re-order songs, remove songs, and set shuffle and repeat options. 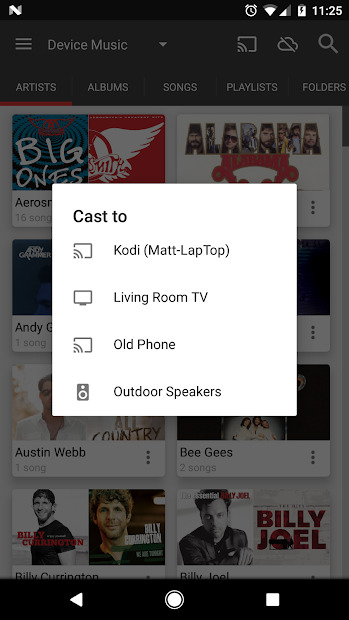 Of course, you can still casting your music files directly to your Chromecast, or any other Google Cast compatible devices. Additional info and tips: All the devices must be connected to the same WiFi network. When docking a phone to your stereo system that you intend to share, set the stereo to the highest volume you want to allow. You’ll be able to take the volume to mute through this application, but no louder than the volume set on the stereo system. When possible, keep the shared Android device that is docked to your stereo plugged in to conserve battery strength. In addition, consider turning on the setting to keep the screen on while the device is being shared; this greatly improves WiFi responsiveness on some devices.